Current news, press releases and events. The series of awards for KEBA's automatic angle measurement device just won’t stop. After the device had already received an innovation award and been crowned with the "Red Dot" and the iF design award, two of the most coveted design awards for functional product design, it has now also been awarded the German Design Award, another premium international award. 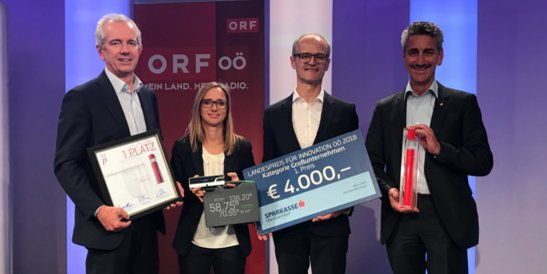 KEBA’s unique laser angle meter for the sheet metal bending industry was chosen by the jury as the winner of the Upper Austrian State Prize for Innovation 2018 in the “Large Company” category. 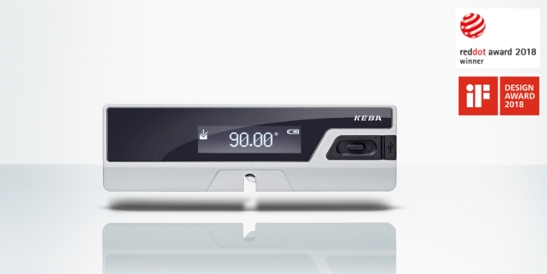 Having already been awarded with the iF DESIGN AWARD, KEBA was able to impress yet another jury of experts with its new angle measurement device KeMes, and is awarded the coveted "Red Dot" for product design. A remarkable success because this design prize too is an internationally renowned and well-respected seal of approval for outstanding design quality. 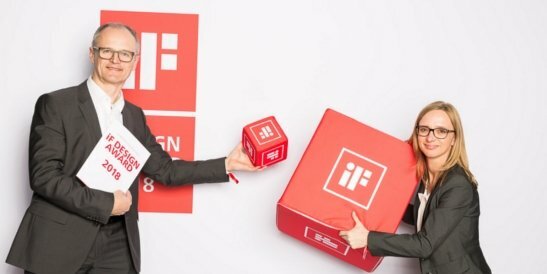 Together with design agency idukk, KEBA can once again celebrate the iF DESIGN AWARD, one of the largest and most important design prizes. 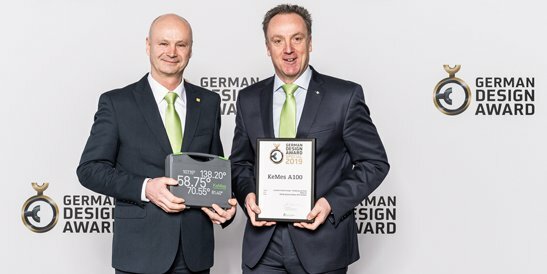 From 6,402 submitted products, an international jury selected KEBA’s KeMes laser angle measurement system as one of the winners of the coveted design label.